When people think about business aviation and executive travel, most will tend to focus on what happens in the sky. But what about after your aircraft lands? Although the wheels have touched down, your business trip is only just beginning. Without some advance planning, you could find yourself arriving at the FBO unsure of how to reach your onward destination. This is why it is very important to arrange not just your flight and accommodation, but also a reliable means of transport for getting you between the two. Here we will look at the four main reasons to consider a chauffeur service the next time you travel. When you land, the last thing you want to do is wait in line for a taxi. This is especially true when you are visiting a destination for the first time. You may be unsure about the best route to your accommodation, or how much local currency is required to get you there. Another factor to consider is that FBOs are often separate from the main international airports, and can be based in remote locations. As there are no scheduled flights arriving, taxis are not always readily available. After a long flight, it’s far more pleasant to have a chauffeur service waiting for you, ready to whisk you to your hotel in comfort and privacy. This allows you to relax, catch up on work, make phone calls and check emails, whilst not having to worry about any distractions. Often, business travelers need to make important calls as soon as they land. The spacious, tranquil atmosphere of a hired car or limousine is the perfect environment to catch up with urgent matters on the go. After your flight, enjoy the convenience of a warm welcome and a safe, comfortable trip to your accommodation. Arranging a chauffeur service in advance also means a far quicker trip to your hotel. Because your itinerary is confirmed ahead of time, the driver is able to plan the the fastest and most convenient route. A good chauffeur checks traffic reports regularly, and does everything possible to ensure passengers arrive at their destination safely and in a timely manner. Payment will be taken care of in advance too, meaning you don’t have to worry about anything except enjoying the ride. In the world of business, first impressions count. If you are traveling to an important meeting, it looks far more professional to arrive from the airport in a chauffeured car than in a taxi. Another factor to consider is that chauffeur services offer vehicles which are in pristine condition. When it comes to meeting clients, it is vital to present yourself in the best possible light. You don’t want to risk getting your favorite suit dirty en route to a crucial appointment. For these reasons, it pays to spend a little extra on a premium transfer service and arrive in style. Traveling for business will occasionally involve visiting areas of the world that are not considered 100% safe. You may face transport challenges at your destination due to labor strikes or traffic jams. Other countries can present more serious threats such as kidnapping, street crime or civil unrest. In these circumstances, engaging a chauffeur service is essential for your security. You need a reliable driver waiting for you at the airport to take you directly to your accommodation. This adds a level of safety and reassurance which is simply not worth compromising. For your security and peace of mind, Jetex can provide armored vehicles fitted with the latest safety equipment. We can also arrange for trained security personnel to accompany you throughout your journey. For further information on security considerations, please see our recent article on safety for business travelers. As part of our comprehensive trip planning services, Jetex offers an extensive range of best-in-class limousines, luxury sedans and SUVs. All our vehicles are maintained to the very highest standards, and kept in immaculate condition. An impeccable level of service will be delivered throughout your journey. From our charming customer service agents who will greet you on arrival, to our highly-trained and courteous chauffeurs, who know the city like the back of their hands. 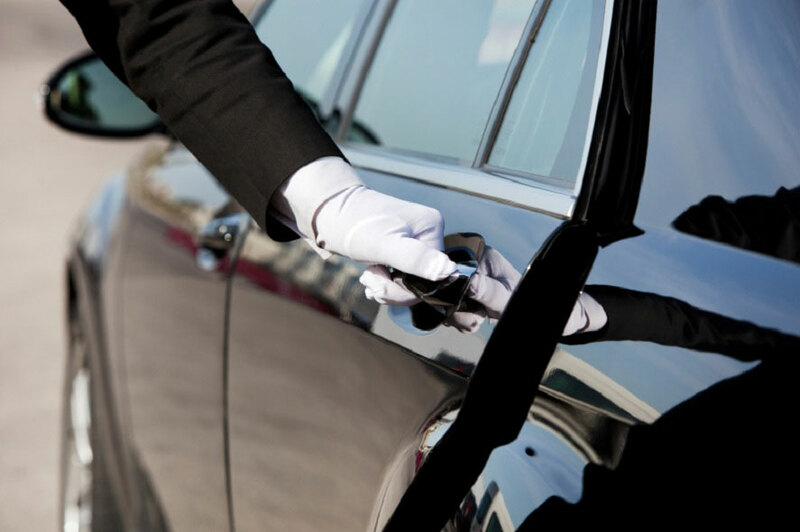 Our team has a wealth of experience in handling the needs of elite clientele, and will go the extra mile to ensure you always reach your destination relaxed and on time. Jetex delivers the same impeccable standard of service worldwide, guaranteeing you will arrive in safety and comfort – wherever your destination. For further information on how you can benefit from our trip planning services, please contact our team today on +971 4 212 4000 or email info@jetex.com.